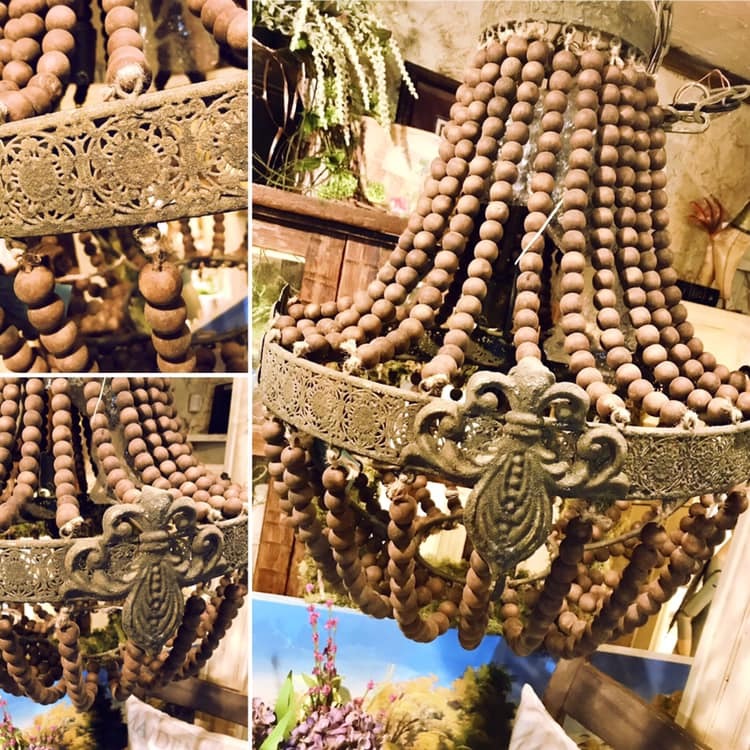 Add a touch of rich and rustic sophistication to your home with an Iron Chandelier with Wooden Beads. This stunning light fixture makes the perfect finishing touch to your room's revamped look. 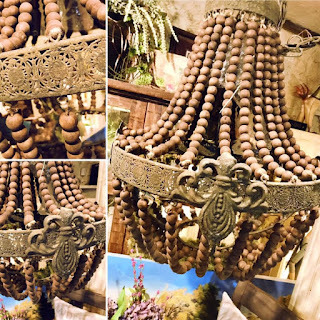 Antique styling and intricate wooden bead embellishments create a warm and inviting ambiance. This large pendant light would be perfect in an entryway, hallway or above a dining table. Would be gorgeous featured in a bathroom love this chandelier! !